The many rivers and coastal wetlands of the Northern Territory, combined with the region’s warmer wet weather make excellent breeding places for saltwater crocodiles. These reptiles, which have been known to reach up to six metres in length are strong, with their tails being solid muscle and their jaws being able to snap and crush bone. They are also not easy to detect in the wild. With their ability to slow their heart rate to only two to three beats a minute, they can lie in wait underwater for long periods in places where humans or other prey regularly go. They also have excellent vision, even under low light conditions and excellent hearing. As well, because they can float with only their eyes and nostrils exposed above water, they make excellent predators. 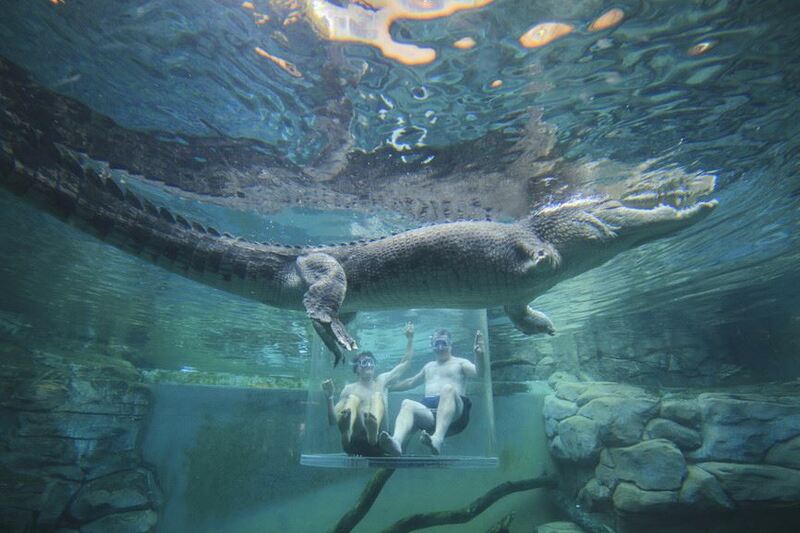 Do not swim anywhere in the Northern Territory unless you are absolutely sure there are no crocodiles. Darwin Australia Hotels see: Accommodation and Hotels.